Microdermabrasion is a popular spa treatment for women who are facing challenges with their skin. Devices that can be used at home are becoming more and more frequent as an alternative to monthly and costly spa trips. The diamond crusted tips exfoliate dead skin cells whilst at the same time, rejuvenate old, saggy skin by promoting the growth of collagen. 2. How does the RejuvadermMD Work? The Trophy Skin RejuvadermMD is one of the top DIY tools for spa grade results without the hassle and commitment related to walk in clinics and treatments. Trophy Skin microdermabrasion works with the top technology experts from around the world to design and create the next generation of accessible, and affordable skincare tools. We review if it can be a good option for your home microdermabrasion needs. Trophy Skin’s RejuvadermMD is a unique spa grade FDA cleared microdermabrasion machine that works to eliminate and reduce sings of aging, fine lines, sun damage, acne scars and liver spots. The rejuvadermMD has a compact portable design which makes it easy to hold and use with one hand. It is very easy to use that even beginners can get started right away without much practice. The device comes with 3 tips, the diamond tip, pore extraction tip and the infusion tip. The crystal free diamond tip is used for microdermabrasion of face and neck, pore extraction removes sebum and oil form pores while the infusion tip helps to infuse skin products deep into skin for best results. The device has a corded design and must be plugged in while using. It also comes with a one year warranty if anything goes amuck. RejuvadermMD is portable and light — it can even fit into your gym bag or purse. It uses a combination of diamond exfoliation and gentle sucking motions to buff and smooth as well as clean and extract the skin of any debris. Once the dead skin is buffed away, your natural radiant and clean skin shines through. It does this by exfoliating the outermost later of skin. The suction then increases blood flow to the skin and rebuilds collagen and elastin proteins. The device measures about 8 x 4 x 10 inches and weighs around 1.2 pounds. The device has very good suction power for a handheld home device and has 4 level settings. The lowest setting has a suction power of 10.3 inch/Hg and the highest setting has a suction power of 17.5 inch/Hg. RejuvadermMD is easy to use too. Wash and cleanse your skin as you normally would. Then, simply begin exfoliating from the centre of your face in an outward motion, making extra care around the eye area. Use one free hand to hold the skin taut and apply gentle pressure to the tip of the machine whilst moving it in short strokes across your face. Make sure the tip is planted firmly on your skin throughout the entire process. Then, attach the suction tip and repeat. It’s recommended to apply a nice, non-comedogenic face cream or oil to sooth the skin after. You can also curate your microdermabrasion experience to your own taste. With four power settings, you can start with a lower suction strength and build your tolerance up if you have sensitive skin. This works perfectly for beginners or those who are reluctant to try a deeper degree of exfoliation. Check out below video to see it in action. Each treatment should last up to five minutes and with continued use for around two to three times a week, you should see proven results. Due to the abrasive nature of the kit, you can expect to see a lot of debris being removed from your skin. This will include sebum or oil buildup, blackheads, whiteheads, dead skin cells, and dirt. Once your skin is clear, your pores will be open and ready to absorb any cream, serum or oil you apply next. To improve the results, try to use complimentary oils and creams. You can also expect a reduction in fine lines, wrinkles, age spots, sun damage and acne scars. The diamond tip catalyzes the production of important skin tightening and brightening proteins which help give you back your youthful glow. People who suffer from hyperpigmentation and discoloration can also expect great results. This system can also be used on other areas of the body like arms, legs, neck, back, and stomach. The rejuvadermMD costs around $200 which is quite less when compared to professional sessions at the med spa or a dermatologist. 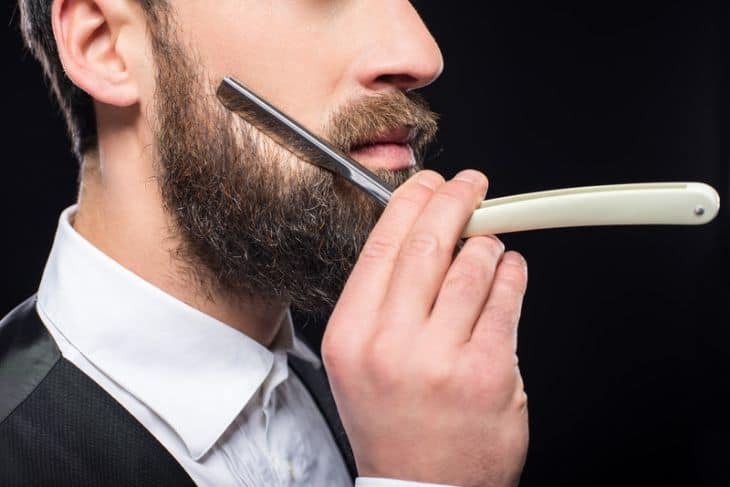 It is recommended to use the unit 3 to 5 times per week, so you can expect to get around 200 to 250 uses out of each tip before needing to purchase a replacement. The diamond tip and other tips are available for around $35 each. The replacement filters are sold in packs of 100 that cost around $25 each. The diamond tips are easy to maintain as well. It is better to clear the dead skin cells using an anti-bacterial soap and brush between each session. Another alternative is to use an ultrasonic jewelry cleaner with warm soap water to clean the diamond tips every 2 to 3 months. It is also very compact and can be easily transported when you’re away from home or even at work. Device has been cleared by the FDA as safe for home use which is a major plus as you can use it with confidence. With no complicated instruction manual, this kit is easy to use and quick to set up, with just two extra attachments and one main unit. If you have sensitive skin, this is a great option as you can adjust the suction power to your skin’s liking. RejuvadermMD also works to correct a very wide array of skin concerns so there is something for everyone. Accessories are easily available and Trophy Skin provides good customer support and service. If you are purchasing this product outside of North America, you will have to purchase an adapter separately. Unlike the larger MicrodermMD option, it only contains fifty filters vs the one hundred in the former. It also has only one diamond tip when compared to other brands. Results do tend to vary however, depending on your dermal history and skin type. Some customers have reported that scars became more prominent after usage and others state that the suction power tends to weaken over time, alluding to a faulty internal mechanism. It’s important to note that a little redness is very normal after use. Your skin is being deeply cleaned and redness is normal at that stage. If however, redness persists or any irritation occurs such as a rash or dermatitis develops, then you should halt all treatments and consult your family doctor or dermatologist. 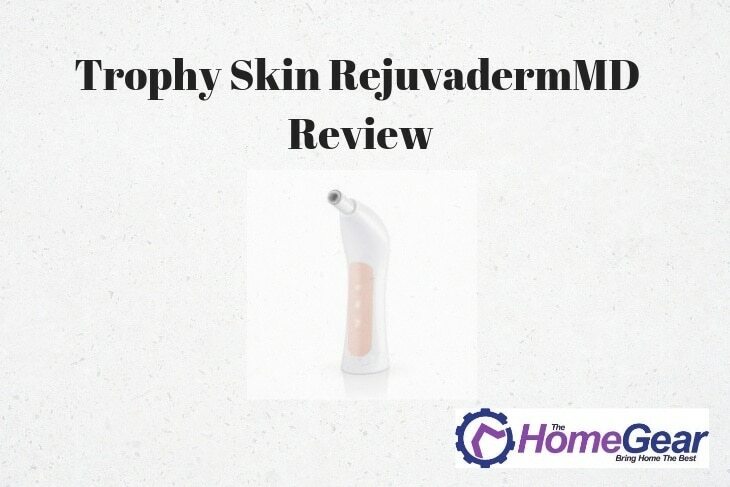 The Trophy Skin RejuvadermMD is one of our top five picks for a good home microdermabrasion device. Though it is not as powerful as the Kendal HB-SF01, it has one of the highest suction power among at home microdermabrasion machines. The device is easy to use, portable and will be a good investment in the long run if it fits your budget. You can get the device from Trophy Skin or Amazon.